← Happy Mother’s Day, ABQ! We’re giving away tickets on Mother’s Day! Whether you spent the morning spoiling your mother, got a bit of spoiling yourself or spent time remembering a loved one, we’d like to cheer up your day with a few free ticket giveaways. We’ll be accepting entries until Monday for these giveaways, so enter away – for one or all! Enter now through Monday, May 9. Winners will be announced May 10 on our Facebook Page and via email. Send an email to gowild@appcitylife.com; put Leon Russel in the subject line. 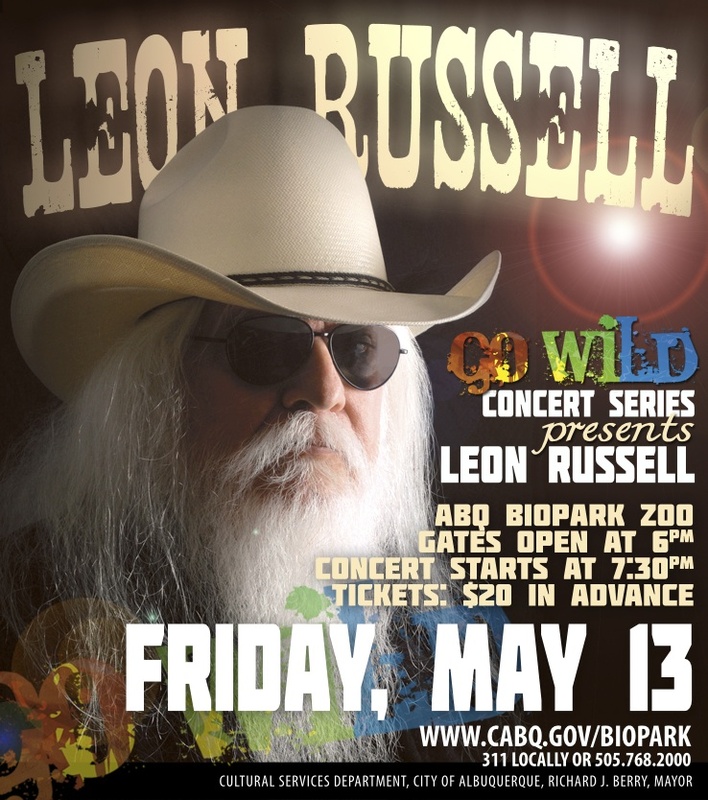 The Go Wild Concert series at the ABQ BioPark Zoo kicks off on Friday, May 13 with an evening with Leon Russell. 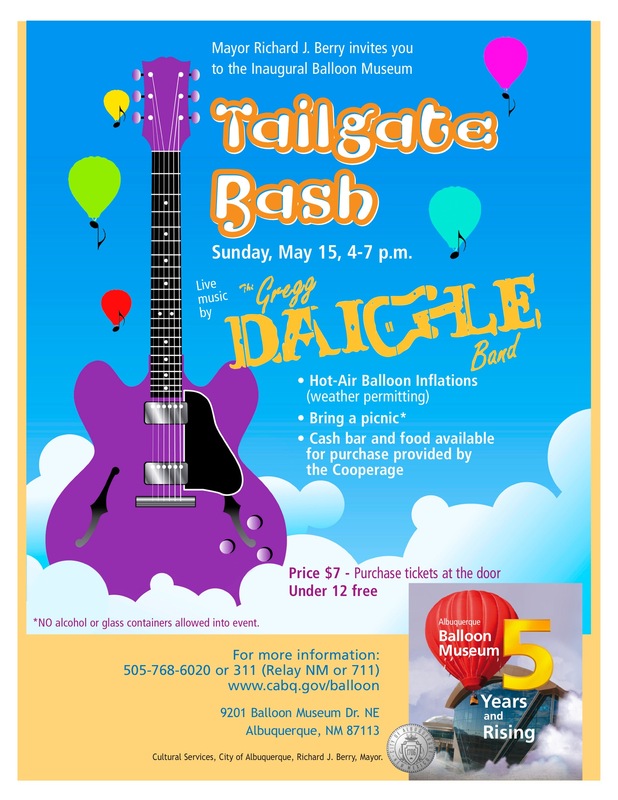 We have several tickets to give away for the Tailgate Bash at the Balloon Museum on May 15th 4-7pm. Music by the Gregg Daigle Band. Hot air balloons, cash bar and you’re encouraged to bring a picnic. Send an email to balloon@appcitylife.com with Tailgate Bash in the subject line to be entered to win. We’ll give away tickets all week, so enter until May 14. Tickets are $7/ under 12 gets in FREE. This entry was posted in Event Recommendations, Giveaways and tagged ABQ BioPark, ABQ BioPark Zoo, ABQCityLife, Albuquerque, Anderson Abruzzo Albuquerque International Balloon Museum, APPCityLife, Balloon Museum, City Guide, Free Ticket Drawing, Giveaway, Go Wild Concert Series, Gregg Daigle Band, iPhone app, Leon Russell, New Mexico. Bookmark the permalink.